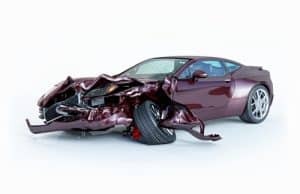 As a Virginia DUI lawyer, I would argue as a corollary to the above-referenced felony law, that violating the DWI law without causing such a serious level of injury should not receive extra punishment beyond any statutory mandatory minimums, in that we have such laws to prevent injury, and no extra penalties are needed merely because there is a car accident that does not cause severe injury to other people. Virginia criminal lawyer permits a DUI conviction for driving with a blood alcohol level (BAC) of 0.08 or higher, or else merely for having “drunk enough alcoholic beverages to so affect his manner, disposition, speech, muscular movement, general appearance or behavior, as to be apparent to observation.” A Virginia DUI conviction brings harsh enough penalties even at the minimum threshold. Causing others physical injury while DUI risks felony consequences, as Daphney Francis learned. Daphney Francis drove her car into a pedestrian causing the woman to recover for months in the hospital, and to be physically disabled at the time of Francis’s trial, with “’an open book pelvic fracture,’ a broken rib, and muscle damage to her right leg.” Francis v. Virginia, Record No. 0094-18-2 (Va. App., March 5, 2019) (unpublished). Francis denied taking anything intoxicating beyond her medication, but tested 0.12 BAC on the Intox EC/IR II breathalyzer machine. The Virginia Court of Appeals affirmed Francis’s felony injury-causing DWI conviction, partially stating in conclusion that: “In addition to having a blood alcohol content well above the legal limit, the evidence established that Francis failed to brake for a pedestrian crossing at a crosswalk marked by a blinking light, careening her vehicle into a concrete barrier and causing the pedestrian to suffer severe injuries.” Francis. The prevalence of taxis, Ubers, Lyfts and hotels provides no reason for people to risk a DUI arrest, prosecution and conviction. It is best to overcover risk by not driving within twenty-four hours of consuming beer, wine or liquor. Virginia DUI attorney Jonathan L. Katz has successfully defended hundreds of people charged with DWI, and thousands of people charged with felony and misdemeanor offenses. To discuss your case in confidence with Jon Katz, please call his staff at 703-383-1100 to schedule an appointment.